Through overall modelling of our project, we finally decided to adopt fluorescent protein sYFP2 as our Light-Harvester. By fusing sYFP2 to H subunit (one part of photosynthesis reaction center of Rhodobacter sphaeroides 2.4.1), Rhodobacter sphaeroides 2.4.1 would have an extra photon absorption at around 517 nm. 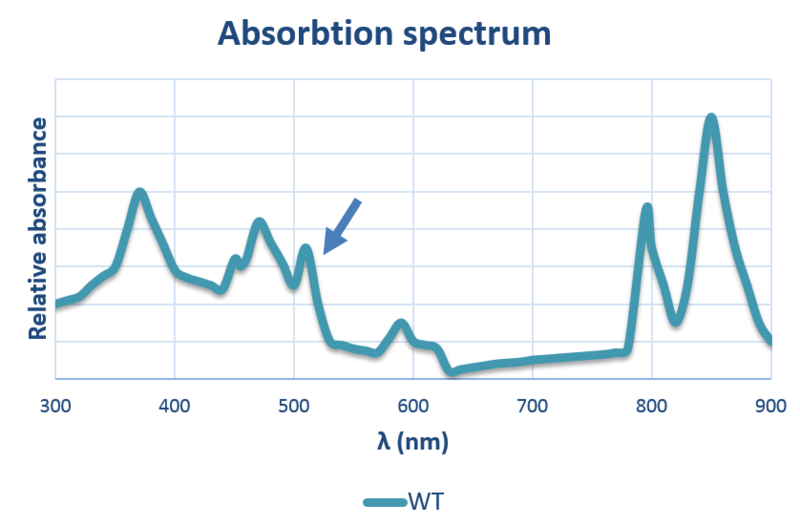 From Figure 1, we discovered that Rhodobacter sphaeroides 2.4.1 had absorption peaks at 450-550nm (provided by carotenoids) and 800-900nm (provided by chlorophyll). Since the absorption peaks of carotenoids and sYFP2 may overlap to some extent, we needed to knock out gene crtB (phytoene synthase), making it unable for Rhodobacter sphaeroides 2.4.1 to synthesize carotenoids. So we chose Rhodobacter sphaeroides 2.4.1 as our chassis, we constructed a plasmid for knocking out crtB based on pDM4 and another plasmid for fusing sYFP2 to H-subunit (the relative code gene of H subunit is puhA). After that, we constructed an inducible pIND4. Based on it, we built another plasmid for cytoplasmic expression of sYFP2. 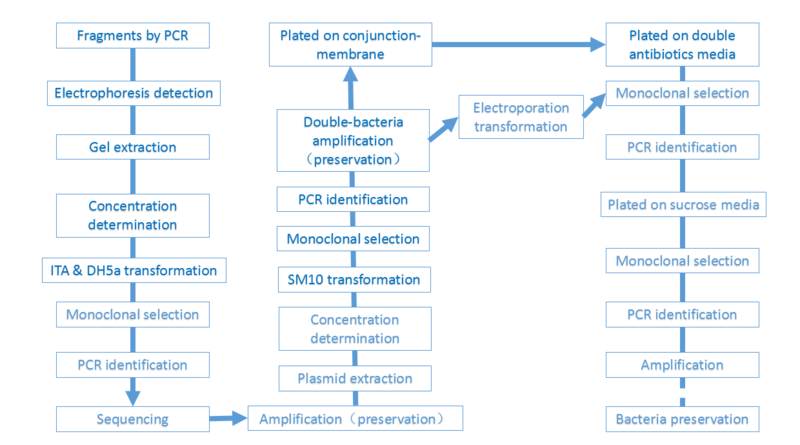 Then by conjugation or electro-transformation of three plasmids constructed above, we respectively got three kinds of recombinant strains we needed.Finally, we would carry out some subsequent determination including absorption spectrum, growth curve and hydrogen production. 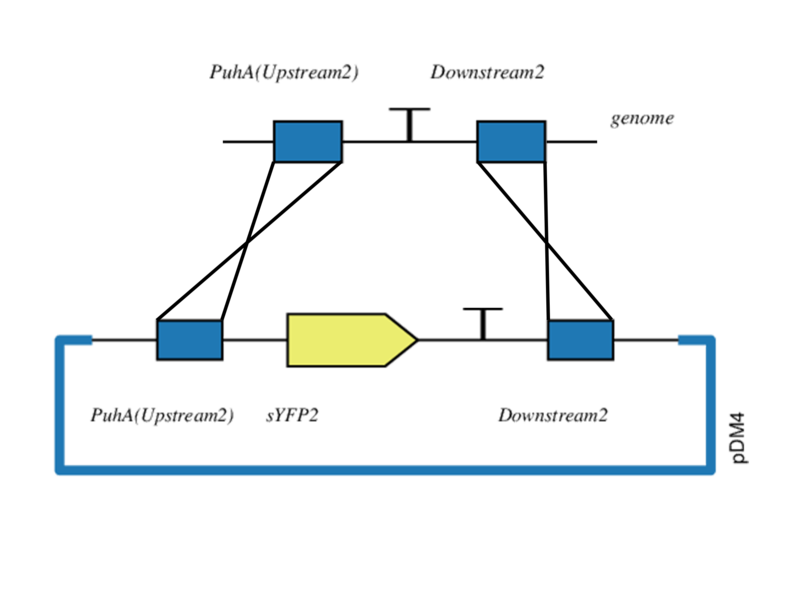 Since the gene fragments related to gene knock-out and knock-in involved assembly of three fragments, we adopted Gibson Assembly to assemble upstream fragment, downstream fragment and sYFP2 onto the plasmid. Figure 4. Two devices used in Knock in and Knock out experiment. 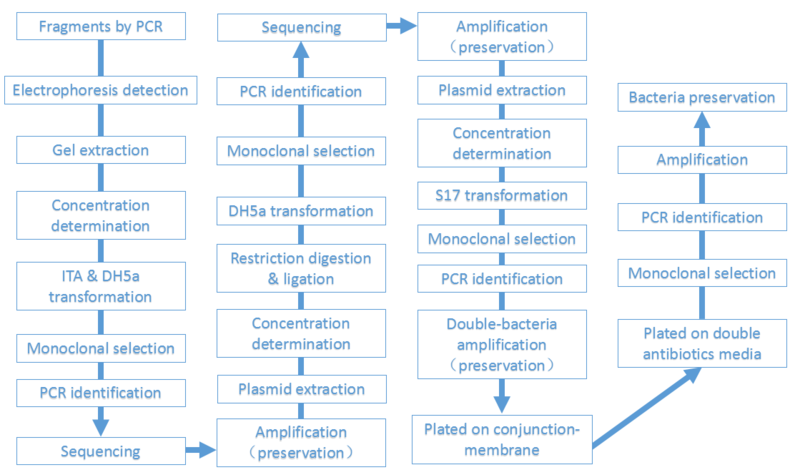 Transform constructed plasmids into E.coli-sm10 and select positive colony whit chloromycetin resistance. Examine the results by electrophoresis. If positive, incubate cells in 5 mL LB media with chloromycetin resistance overnight. Preserve the stains with 20% glycerol. In order to knock out/in gene, we used a special plasmid(pDM4). 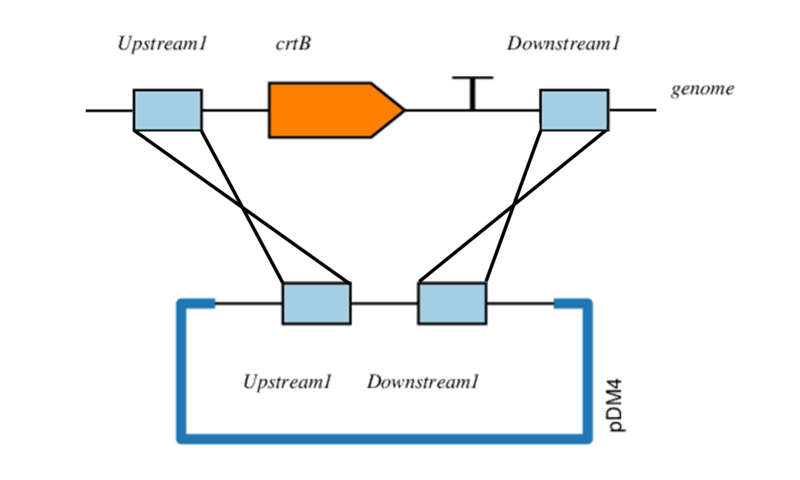 This plasmid contains gene Mob, replicator oriV and gene SacB .Gene mob can be used to facilitate the use of bonding method of transformation. Replicator oriV couldn't replicate in the globular bacteria (Erythrocytes abscess λπ factor ) , thus single clones could be selected by chloromycetin resistance of the plasmid . Finally , through the gene SacB on pDM4 , sucrose was screened for secondary recombination . E.coli-sm10, Rhodobacter sphaeroides 2.4.1 were incubated overnight for 12 h. Add the corresponding antibiotics to donor bacteria . E.coli-sm10, Rhodobacter sphaeroides 2.4.1 secondary culture, add the appropriate antibiotic into the donor bacteria medium, shake to the logarithmic growth phase. Take 1 mL from both E.coli-sm10, Rhodobacter sphaeroides 2.4.1 washed with PBS and mixed. Take 25 μL of mixture and drop in the dried adhesive film. Dry out and cultivate overnight. Wash the bacteria moss on the joint film with 1 mL of medium or PBS and take 100 μL of that to coat plate. The results were observed after several hours of culture. After one screening, it was induced with TSB containing 10% sucrose and then subjected to secondary screening on a plate containing 10% sucrose free of resistance. 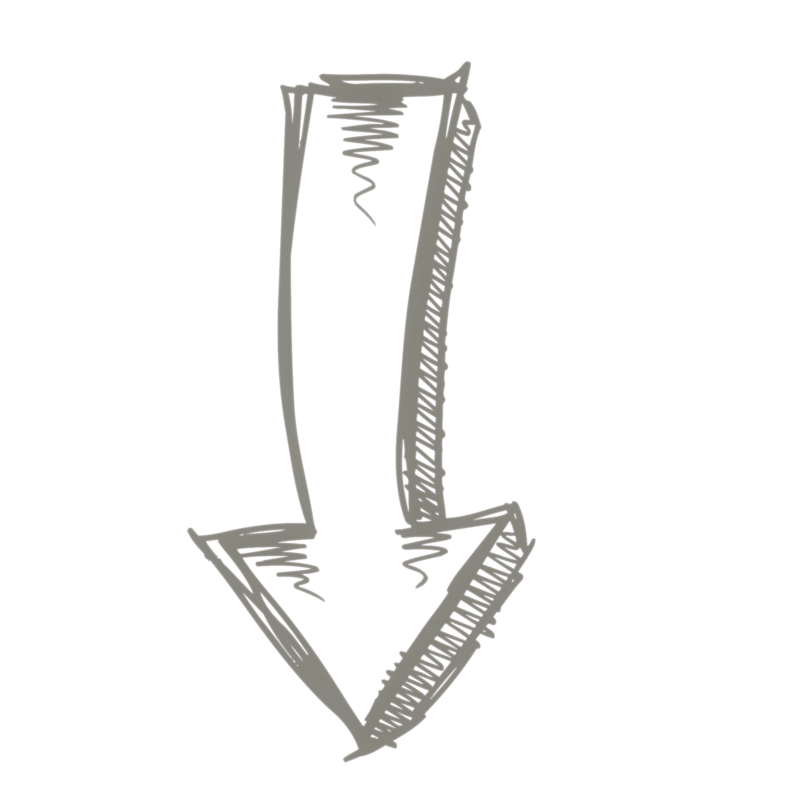 Validate gene knock out and gene knock in by priming pairs on the genome. Figure 5. Work flow of expression experiment. We wanted to figure out whether sYFP2 (with its codons optimized) could be stably expressed in the cytoplasm of Rhodobacter sphaeroides 2.4.1 and took it as an experimental control group. Prof. Gaoyi Tan provided us with a reproducible plasmid pIND4 in Rhodobacter sphaeroides 2.4.1. 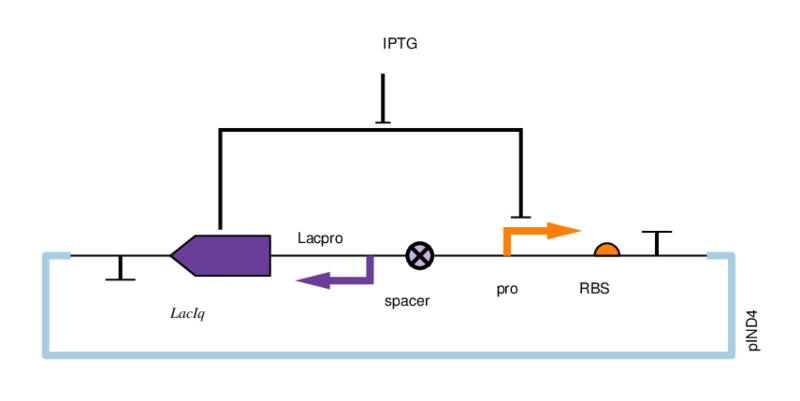 In order to make the expression controllable, we inserted the repressor protein LacIq and its corresponding operon into the plasmid by reconstructing the plasmid and transfered it into a lactose operon-inducible plasmid. keep the system at 37℃ for 15min (specific reaction time see the instructions). 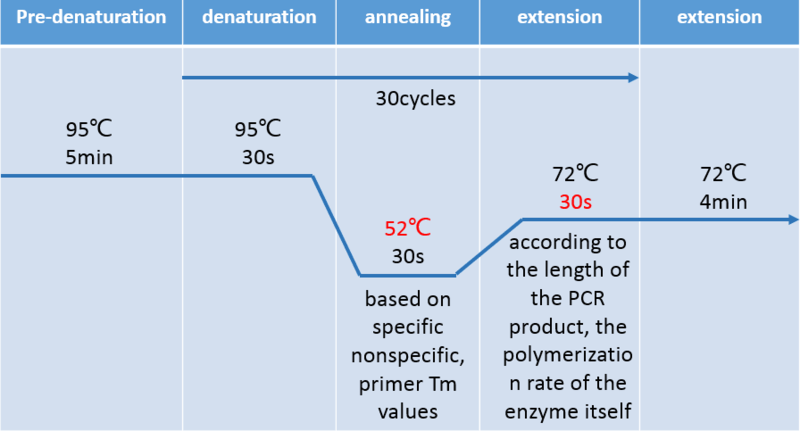 Inactivate restriction enzyme at 80℃ for 20 minutes. 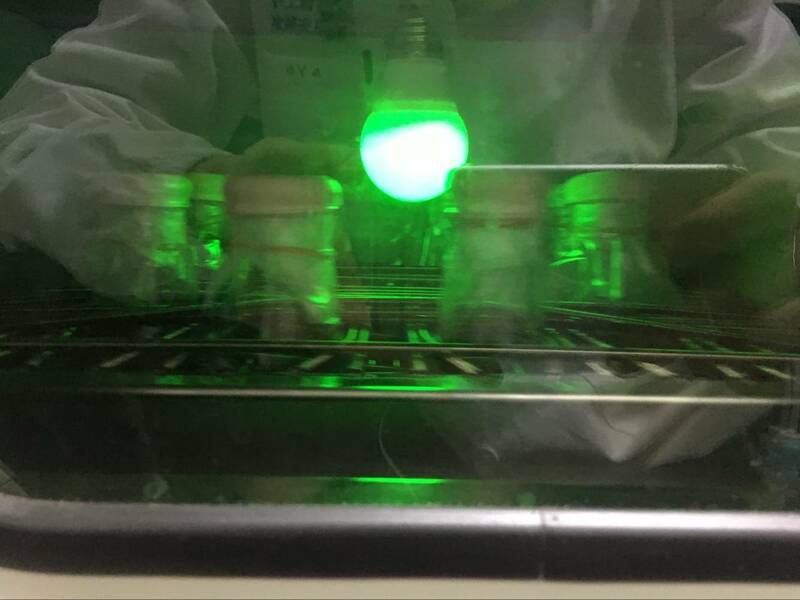 After obtaining three engineering bacteria, we first examined the presence of fluorescence with fluorescence microscope in order to determine whether sYFP2 is well expressed. Then by measuring the absorption spectrum, we checked whether there is an additional peak at 517 nm near the absorption peak. 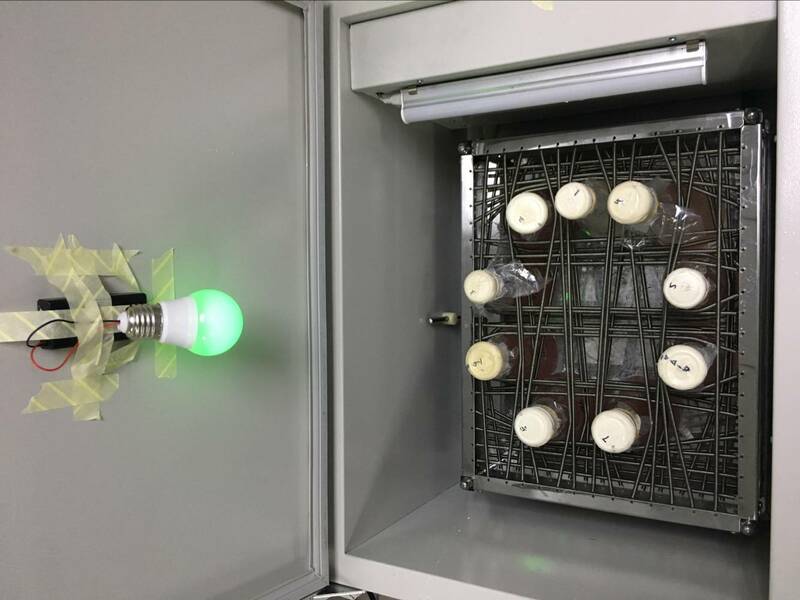 Finally, we carried out photosynthetic growth curve measurements and hydrogen production experiments to test for additional ATP or H2 production. 3.1.1 Room temperature and 77K absorption spectrums were recorded using Clariostar-430-9903 in the spectral range between 300 and 900nm（5nm width）. 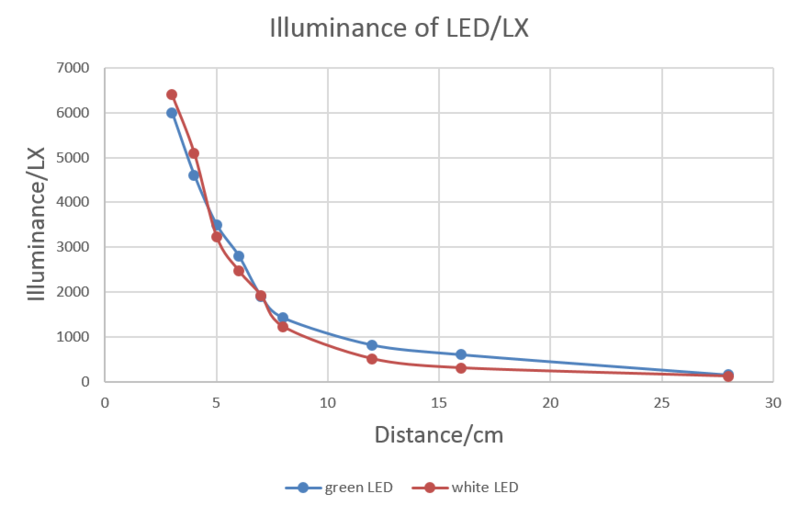 3.1.2 Fluorescence intensity were recorded using Clariostar-430-9903 with 497nm excitation wavelength and 540nm emission wavelength. Drew bacterial suspension with syringe and measured OD every 24 hours. After each measurement, the pinhead should be covered with Vaseline.